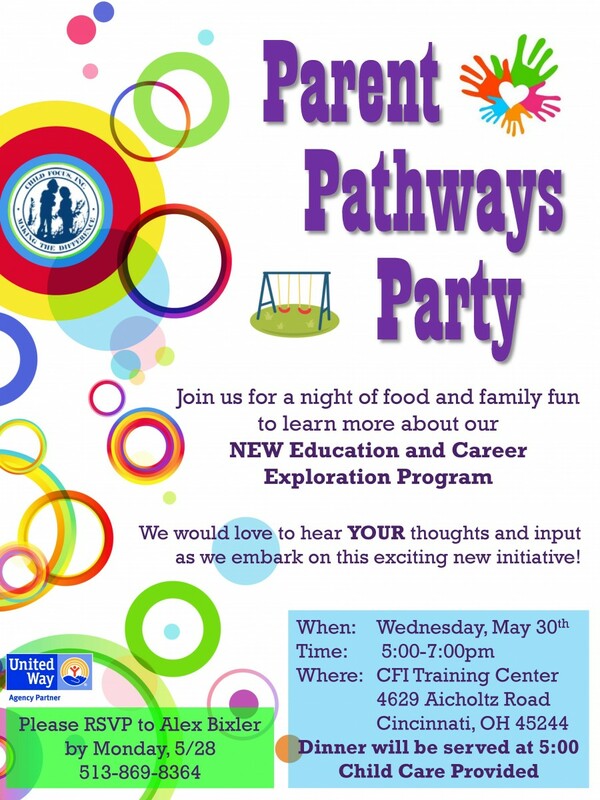 Join us for a night of food and family fun to learn more about our NEW Education and Career Exploration Program, funded by United Way. We would love to hear YOUR thoughts and input as we embark on this exciting new initiative! Dinner will be served at 5:00 and child care is provided. Please RSVP to Alex Bixler by Monday, 5/28 at 513-869-8364.